It’s time once again to go on a Film Journey, and today we are going to do things a little differently. 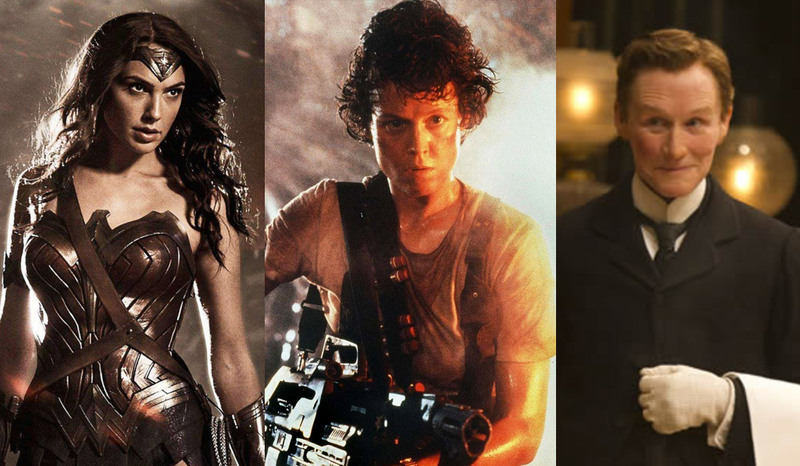 For this Film Journey, and to celebrate the success of a certain film that is currently playing very well on screens across the globe, we are going to offer up some suggestions for films that feature very strong female characters. Now, that’s quite a vague term “strong female character” – what do we mean by that today? We are certainly not talking about just physicality here, although some of our selections today fit that criteria. 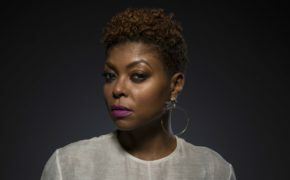 In general, our selection is based on well-written characters, who take the lead in driving the narrative of the story … and they also happen to be female. 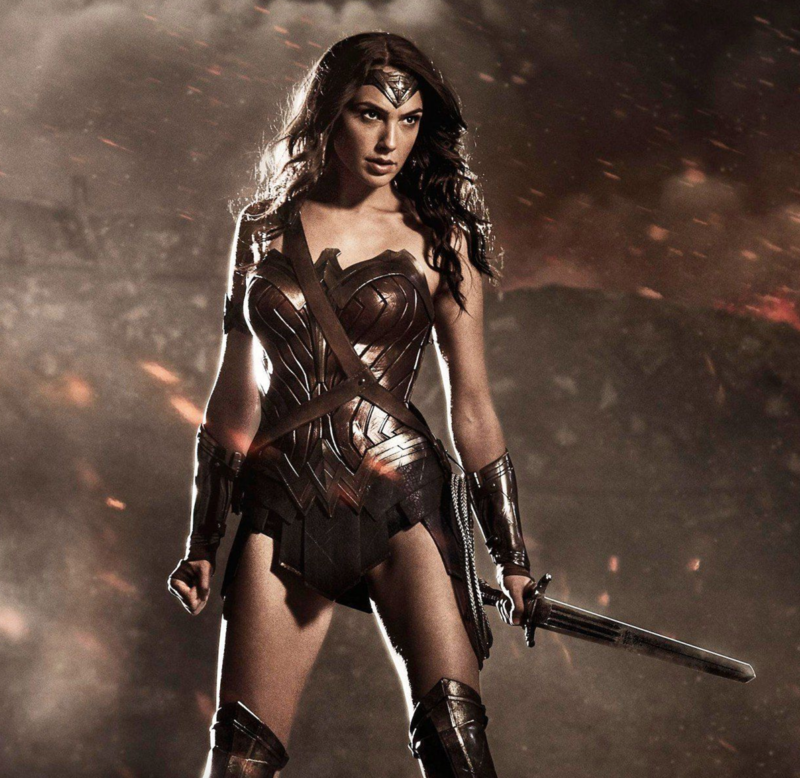 All of which just makes us want to sing the old “Wonder Womaaaaaan” theme! But that’s not the point of this journey, nor the film. Godot plays the character with a huge amount of gravitas, perhaps much more than you would expect from what could easily be played of a *just* a ‘comic book movie’. This incarnation of Wonder Woman is not just about beating up the bad guys – she stands for honour, respect, empathy, love, good values, and making the right choices. It’s a powerful message to send to both girls and boys watching the movie and, frankly, it’s about time we had more of this. It’s ALBERT NOBBS from 2011 and stars Glenn Close, Mia Wasikowska and Aaron Taylor-Johnson. 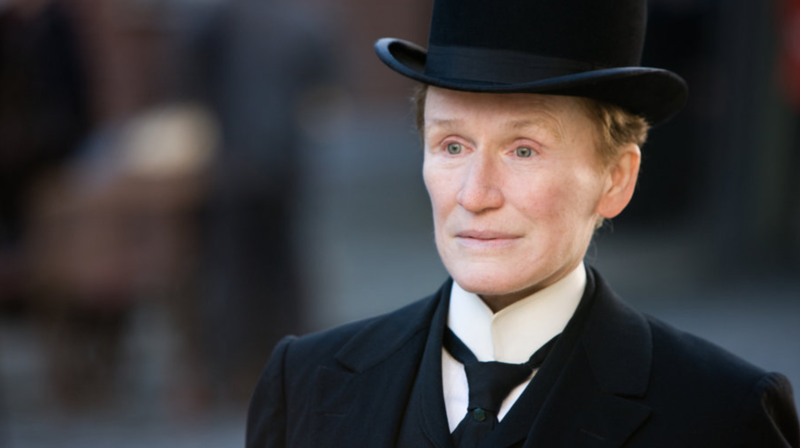 The story focuses on Albert Nobbs, played by Glenn Close, as she struggles to survive in late 19th-century Ireland, where women aren’t encouraged to be independent. Posing as a man so she can work as a butler in Dublin’s most elegant hotel, Albert meets a handsome painter and looks to escape the lie she has been living. There is a little of life imitating art with this film. Whilst Close portrays the struggle of woman in 19th-century Ireland brilliantly by taking on a job and doing it exceptionally well, she also took on a herculean set of tasks during production too. Not only does she star as the lead character but Close co-wrote the screenplay, wrote the original song for the film and also produced it! As if that wasn’t enough, she also caught pneumonia whilst filming. If that doesn’t exemplify being a good role model / strong person / ‘wonder woman’, then I’m not really sure what is. Our final film for today is ALIENS from 1986. This film ties in nicely with another movie that is currently in the cinemas at the moment, ALIEN CONVENANT (2017) – so there you go, you get two current movies for the price of one! ALIENS stars Sigourney Weaver, Michael Biehn, Carrie Henn, the late Bill Paxton and Lance Henriksen, to name a few. This is the second film in the franchise and followed on directly from Ridley Scott’s ALIEN (1979). 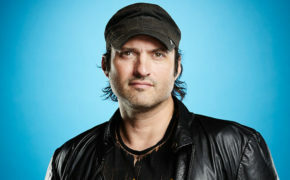 Whilst the first film was more of a horror movie in space, ALIENS was all about action – pitting a band of tough space marine soldiers, which, interestingly, for the time, the group of soldiers is made up of both male and female characters, against the brooding Xenomorph aliens hell-bent on destroying the whole lot of them. It’s left to Sigourney Weaver’s character, Ellen Ripley, to yet again save the day. As with Wonder Woman, Ripley is not just a tough character ready to fight the bad guy. 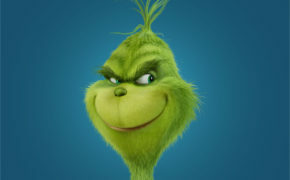 Her story arc develops over the course of the franchise, although some fans argue that the character takes missteps along the way, surely it adds to character development. 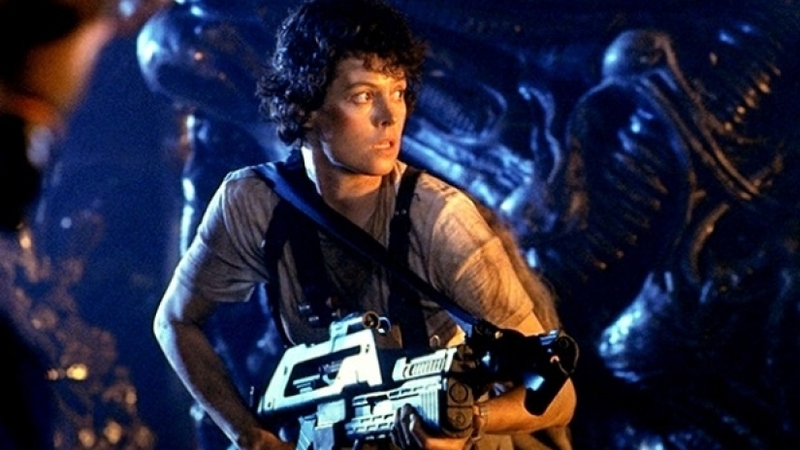 What is important for today’s Film Journey is that Ripley is yet another multi-dimensional character who takes charge of a situation and battles against the odds to, ostensibly, win … and she happens to be female.